Your skin covers your body, it’s always visible even in small parts when you cover up with clothing. The human eye cannot help but look at skin, our eyes are naturally drawn to where the skin is (skin can be exciting – that’s why there is such a thing as strippers, and why most work dress codes require you to cover up so as not to distract your fellow workers). 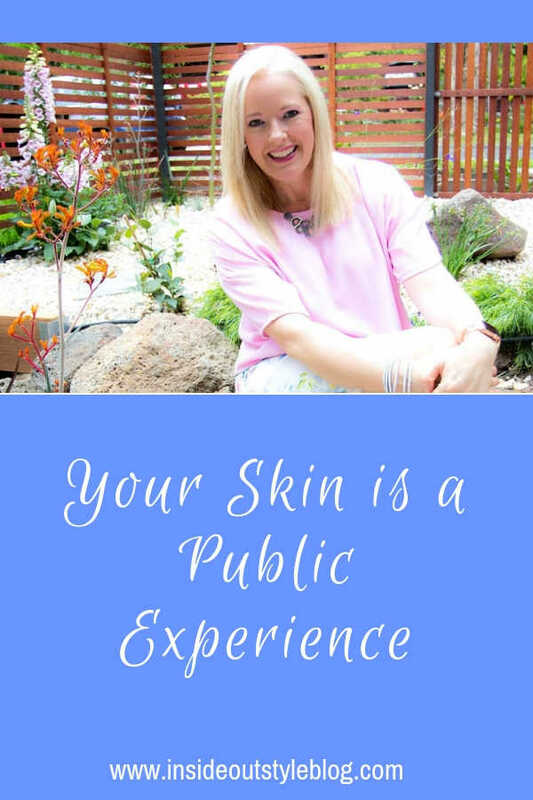 Whether you like it or not, your skin is a public experience which is the topic of Jill Chivers of 16 Style Types and my video, as we share our personal experiences about this topic. If you think about it, your skin is part of your covering – and just as we judge a book by its cover, your skin comes into that equation. 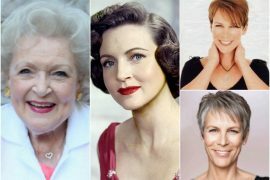 What is the Impact of Your Skin on Your Confidence? Have you ever thought about the impact of your skin on your appearance? If you have ever had less than ‘perfect’ skin, the answer is most likely a resounding YES! Given that skin is seen by everyone, and it can really impact on how you feel about yourself and what you look like. For me, I had pimples, and lots of them, from the age of 13 to the age of 26, when I finally went to see a dermatologist who put me on Roaccutane – a very strong drug that finally fixed my skin (well mostly, I still get a pimple here and there even now!) but what I noticed most after finally getting clear skin, was how differently I felt about myself and how my confidence in my appearance grew exponentially. What I found the hardest to deal with, was that very frequently, people would feel the need to comment on my pimples – either pointing out they existed (as if I wasn’t acutely aware), or saying things like “you’d be so attractive if you didn’t have those pimples”. Now there’s something to kill your confidence and crush your ego! And I avoided the camera at almost all costs during those pimply years – which is sad as there is no record of so much of my life. Your skin is a public experience. You can’t hide it all away. 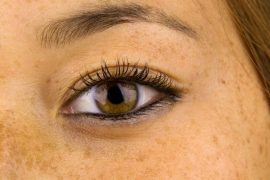 Whether it’s birthmarks or scars – these skin “blemishes” can feel very obvious and unwanted for many. You can feel exposed and as if people are looking at you in a negative way. I know that I felt like I was “damaged goods” and that the world could see that I wasn’t quite right. Problem skin (particularly when there are medical reasons – such as eczema, psoriasis, acne etc.) can be seen as repulsive and disgusting, making people want to shy away from you, in case whatever it is you have is contagious. Jill, in turn, has had freckled skin all her life. 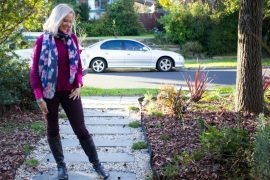 She experiences herself as having patterned skin, which covers her from head to toe, and it’s a big part of her experience of her appearance. 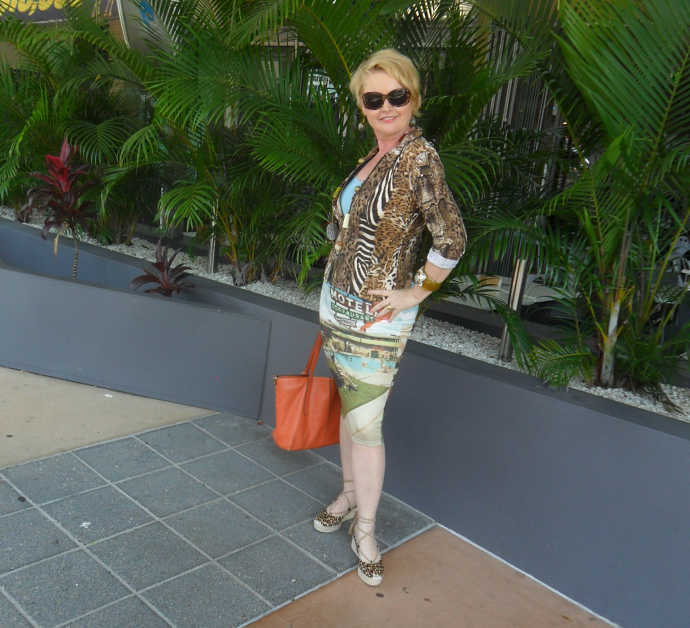 This has led her to her love of leopard print which harmonises so beautifully with her freckled skin. And that leopard print has become an extension of her personality. Embracing of leopard has become a celebration of her freckled skin, and has helped her stop “hating” her skin. So if you have eczema or psoriasis (or pimples) avoid really smooth fabrics, instead, go for something with a bit of texture as it will create more harmony with your skin. Thinking about this topic now, and reflecting back, I think that one of the reasons I became interested in personal colour analysis, back in the 1980s and 1990s when I had that acne, was that I discovered that wearing colours that flattered my skin, did make my pimples less obvious. Given that hiding my pimples was something that I was obsessed with doing (and still am when I get one these days), and so finding a tool, such as personal colour analysis, and a colour palette that made my skin glow with health, was so truly appealing to me (and still is!). Maybe it was those pimples that started my colour obsession and I’ve just never realised this before! Even now as I age and have wrinkles as well, a few sun spots, freckles, strange bumps and lumps – all on my face, knowing that the colours I’m wearing are highlighting my skin in the best way possible and giving an overall impression of health and wellness, is a way to distract so nobody looks too closely (as they might if I was wearing a colour that made me look peaky and ill). And if I’m wearing an eye-enhancing blue, then that will focus you on my eyes, not the blemishes on my face. I remember as a teenager after finding out that I was a “winter” (old school) and that hot pink was a great colour for me (so much so that it became my “happy” colour too) – that at least I felt better wearing it than when I’d wear my mustard yellow top (yes I had one, and I can’t tell you how many people would ask me if “I was feeling OK” when I wore it!). 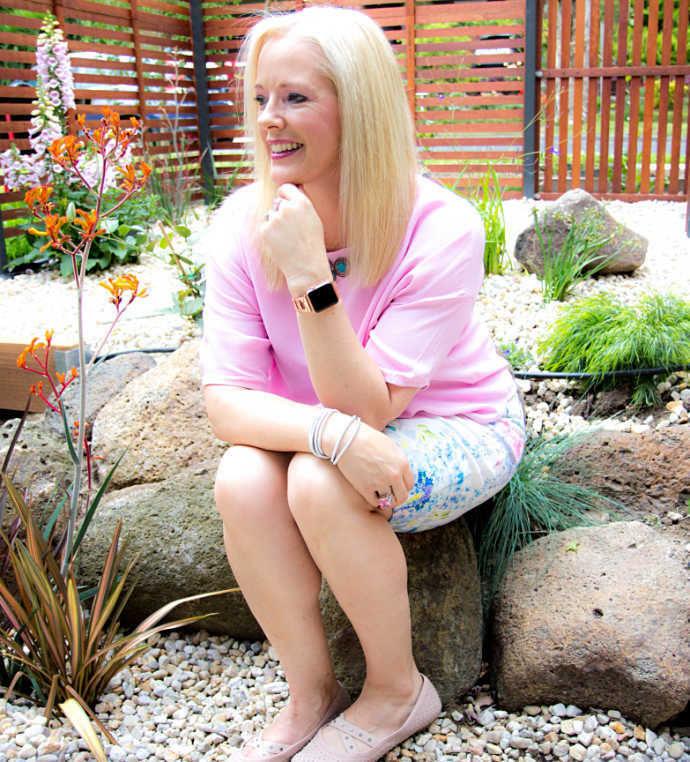 That impact of colour on my skin – the skin enhancing pink versus jaundice inducing yellow – is one I still carry with me to this day. Seeing, as I do, just how I can make someone look healthy or ill, flushed or vibrant – depending on the colour that I drape them in is so satisfying, as it’s such an easy way of looking better, no hours in front of the mirror applying makeup. Finding those signature colours that really make you look amazing is one of my great passions in life. 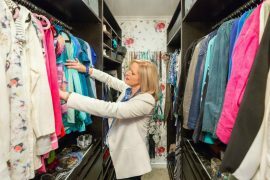 If you’d like to discover the colours that make your skin look more even and healthy, a personal colour analysis is part of my 7 Steps to Style program (and it’s just one of the 7 Steps – you also discover the shapes and styles of clothes, the impact of your personality, plus so much more!). What are the experiences you have of your skin and how others react to you? I can so empathize with your experiences! I didn’t get my skin under control until my thirties! Glycolic acid peels keep my skin under control and have lessened scarring and dark pigmentation spots for me. I found that any bar of soap containing animal fat (sodium tallowate) will cause my skin to go bonkers too. I was very good at “covering” with makeup, lol and used to help my coworkers too. I don’t even wear foundation makeup now so that I don’t risk a breakout and just “spot” cover if needed. It’s not fun feeling like you always have to hide something with makeup! Thanks, Imogen! You bring up an issue I struggle with and have not seen addressed elsewhere. I have cool, muted, neutral coloring but have some areas of ruddy skin, especially around my nose and chin. Thanks to you, I know I look best in cool, muted, neutral colors, but I am perplexed by what colors to wear near my face, or on it, to not draw attention to the redness. I tend to avoid lip colors altogether because most pinks, reds, and plums tend to accentuate, or completely blend into, the ruddy areas. I was told browns offset redness, but haven’t found any that look flattering. 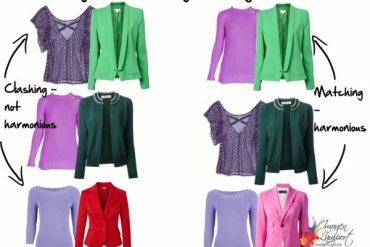 Do you recommend someone with ruddy skin avoid these colors altogether? 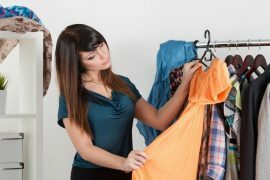 Kristen – my recommendation would be to look at your colour contrast – what you have is a coloured skin – which means you need to wear colours (rather than neutrals) https://insideoutstyleblog.com/2014/11/how-to-find-your-ultimate-contrast-your-three-step-process.html think about wearing blues and greens (rather than reds which will emphasise your pinkness – though the right reds and pinks are never as bad as the wrong ones!). But think colour and even a pattern as well which will distract from your skin.